If your financial hardship has left you in a position whereby you are not able to pay your mortgage payment, whatever the reason may be, then you cannot afford to live in your home. 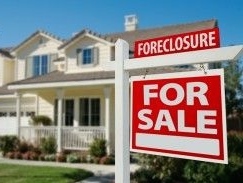 Foreclosures have been and continue to be a are dilemma for many homeowners in the United States today; foreclosures are coming down but they are still very high. 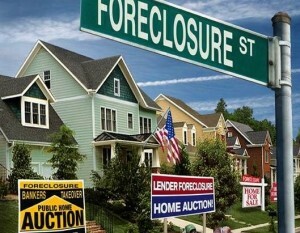 In North Carolina 1 in every 1,114 households have received a foreclosure notice. Some lenders out there have not been playing fair, and some even to the point of unethical practices. On the bright side of things, you may have an option that may allow you to keep your home, even if the foreclosure process is already under way. Something that has been around for many years, and you may possibly utilize to save your home and equity. You may need to wait a year or two in order to cash out the equity on the property, but it is better then the alternative. Lease Purchase Agreements usually work well in any real estate market; these agreements referred to as a “lease option” as well. This is a very valuable strategy to keep in mind, especially during market that in a distress. While there may be many other reasons to take advantage of a lease option, they are defiantly an excellent way to avoid foreclosure, and salvage your home from the bank. In a foreclosure, your credit will be destroyed for years to come, and the additional financial repercussions can take a tool on your personal life. 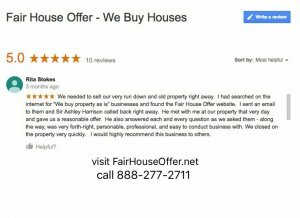 If you are considering doing a lease option on your property contact us today at 888-277-2711 or visit our site here so you can get an offer on your property.